This is a new build that has been fired for testing. Featuring a 16" chrome Lined Barrel with full length MOE FDE Handguards for excellent cooling and the full sight radius designed into the A2 sight system. 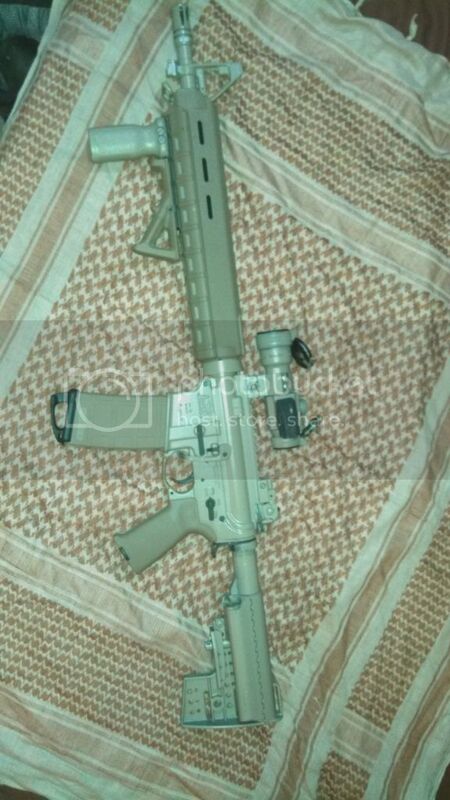 Assembly includes Bayonet Lug, Threaded Muzzle, A2 Birdcage Flash Suppressor, Handguards, Gas Tube, and Delta Ring Kit. The Upper and lower receiver are Palmetto State Armory Milspec. The Bolt Carrier group and hammer are Fail Zero. This model has been tested to not need any cleaning for 50,000 rounds of semi auto 25,000 rounds of full auto. The Fail Zero parts are all Nickle Boron coated and do not need lube. This means that when the direct gas system pushes the bolt back there is not build up on the bolt carrier causing failures over time as is the case with with non coated bolt carrier groups. 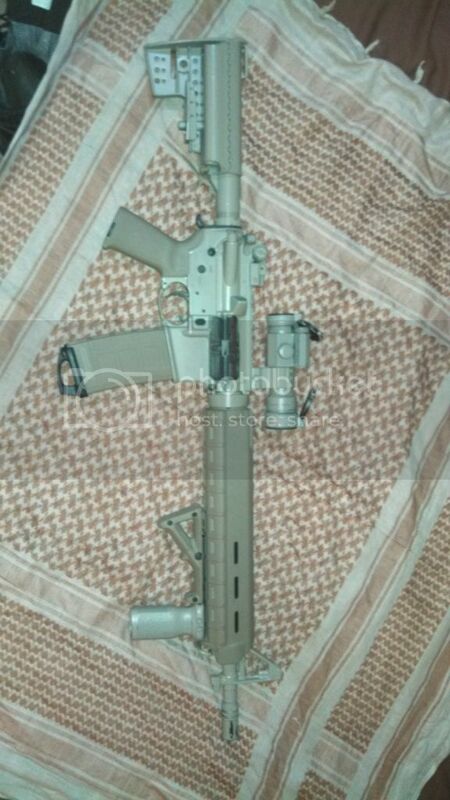 The Rifle has a MOE FDE Pistol grip,Magpul Bad Level, Tapco sling plate and Magpul FDE Front grip and AVF grip. The rifle comes with your choice of stock, the Vltor stock or Rock River A2 Entry Tactical shorty. You can have both stocks for a fee of $80 above the winning bid plus applicable shipping. The rear sight is a high end GG&G fold up sight. There is a new Vortex red/green dot. This not a Aimpoint but very close with good glass and Nitrogen purged to inhibit internal fogging. It comes with one Pmag FDE. Please allow Clearances for Checks and money orders. Please make sure this firearm is legal in your area before you bid. Seller assumes no responsibility for local laws and ordinances.